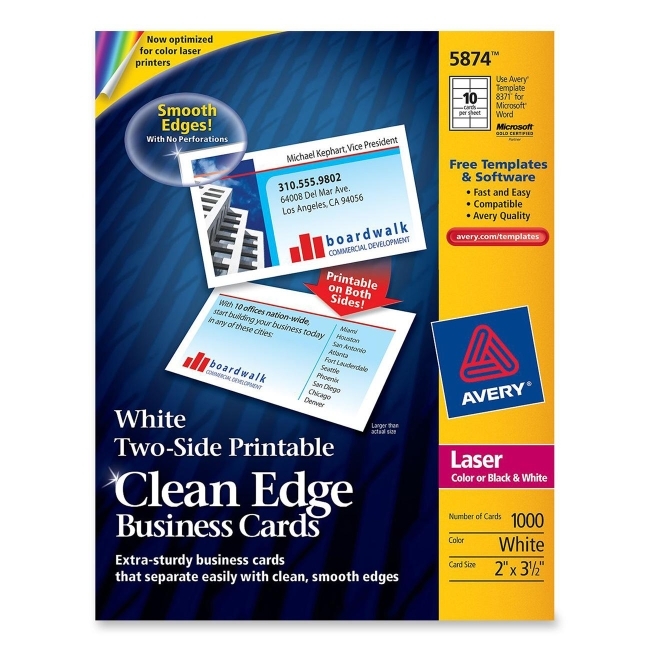 Create custom business cards with no perforations. Unique patented design eliminates the look of perforated edges. 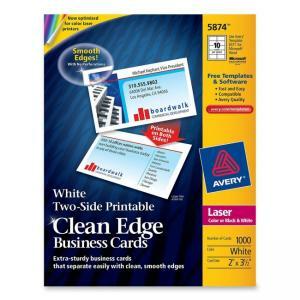 High quality, heavyweight cardstock is designed for use in most laser printers. Avery offers many easy-to-use templates for Microsoft Word and other popular software programs.